The Trix low bookshelf is a perfect piece of furniture for areas which have limited space. 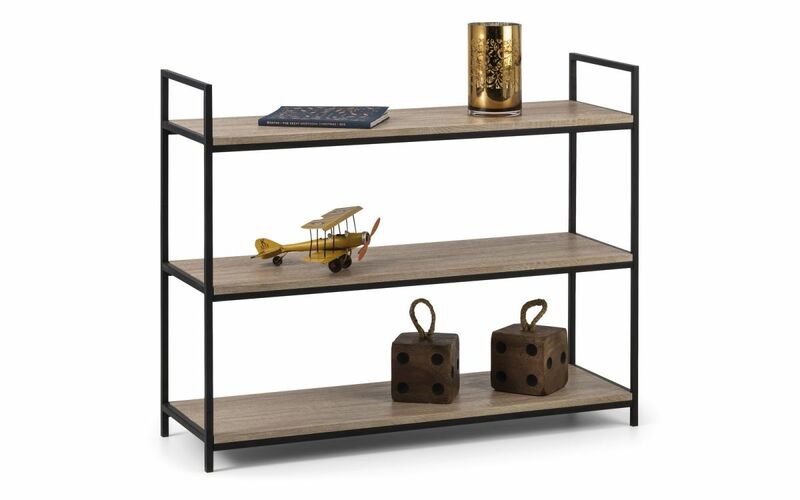 The unit has 3 tiers in black metal & sonoma oak.The shelves are Sonoma oak which is extremely pleasing to the eye which will add a touch of class into your home. 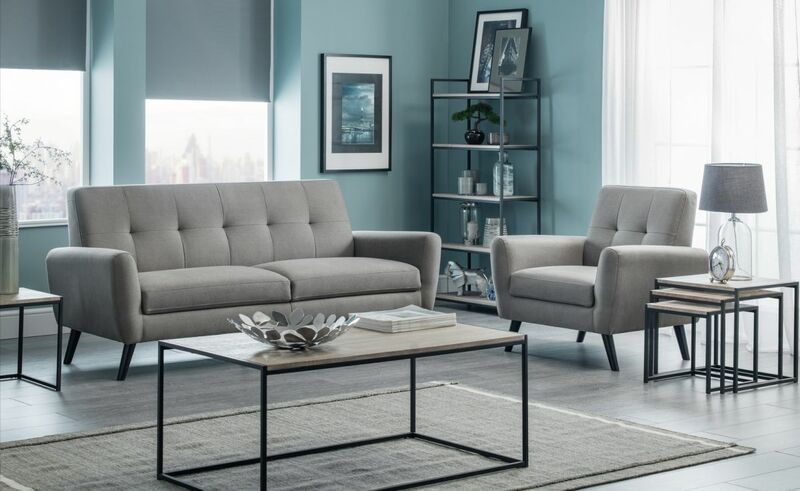 This range is a very contemporary & sleek style of furniture that is sure to convert your living/dining area into a stylish sophisticated area. All you need to do is wipe your furniture and chairs over with a duster or dry cloth to maintain that dust free surface. Use a damp cloth for tougher marks before resorting to chemical cleaners.